What Is The List Of Hanoi Sapa Bus Schedule? A great news for traveller who love to adventure the northwest Vietnam with a limited time given. The Highway Ha Noi – Lao Cai with total length 265 kilometers giving a good solution for tourists. The trip starts from Ha Noi, driving along the Red Delta and passing four provinces Vinh Phuc, Phu Tho, Yen Bai, Lao Cai and ends in Sapa with totally 5 hours driving. The highlight of the trip is the beautiful landscape along the road that you can see by day in the northwest mountains area. 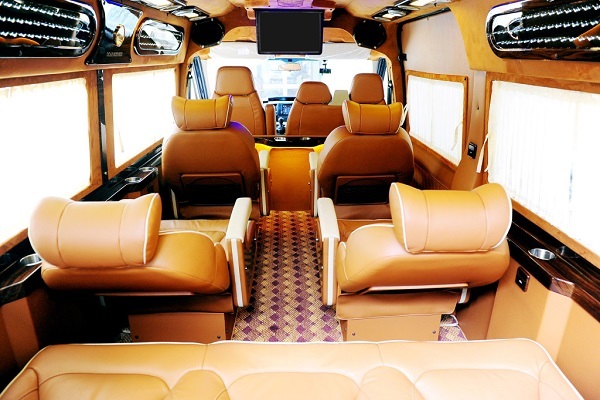 In this article, we offer the useful information about Hanoi Sapa Bus schedule for travelers. Our car and tour guide will pick you up at the meeting point ( No. 208 Tran Quang Khai to Street Or Hanoi Old Quarter) then depart to Sapa, following Noi Bai – Lao Cai highway. You will have chance to admire the beauty of northwest mountains that has terraced fields. You will have a short break in 30 minutes then continue the trip to Sa Pa.
06.30: Free pick up at your hotel in the Old Quarter of Hanoi and transfer to Sapa Express Bus → 07:00: Departure to Sapa → 09:00: Have a rest-stop at Km57 for 30 minutes, here you can go to toilet also → 12:00: Stop within 15 minutes at Km237 for the second rest-stop → 13:00: Arrival Sapa town – stop at our office, No 02 Cau May street. 21:30: Free pick up at your hotel in the Old Quarter of Hanoi and transfer to Sapa Express Bus → 22:00: Departure to Sapa → 23:30: Have a rest-stop at Km57 for 30 minutes, here you can go to toilet also → 22:30: Stop within 15 minutes at Km237 for the second rest-stop → 03:30: Arrival Sapa town – stop at our office, No 02 Cau May street. 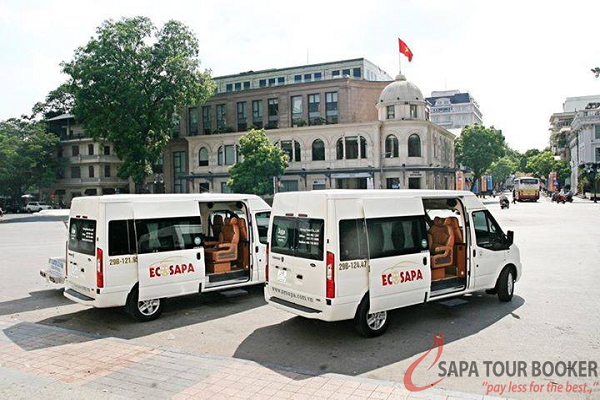 Our car and tour guide will pick you up at Sapa town then come back to Sapa by Bus Sapa Express – Noble Limousine 29 seats. 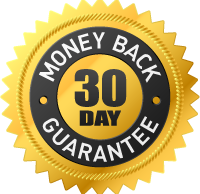 - The tickets of one way is offered for all trips except those on Friday and Sunday. 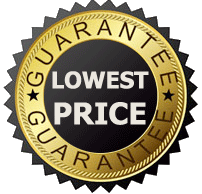 - Ticket price does not include meals on the bus but include snack and drinks. - Free for child under 2 years old. Cat Cat attracts tourists for its distinctive customs and practices. After approaching the foot of the mountain by the motorbike or by car, you can walk to Cat Cat Village and its nearby hills provide an opportunity to see farms and techniques used by the people in the area. Cat Cat village is home of the Black H’mong people, who is famous for its brocade weaving craft as well as its gold and silver jewelry making. Actually, we believe that this is a good opportunity to purchase some traditional souvenirs and handicrafts right from the craftsmen such as twisting flax and weaving fabric. After finishing with Cat Cat village, you continue discovering Y Linh Ho village, which is a small commune composed of many small hamlets scattering on the very tough mountain terrain with high and steep mountains. Black H’mong people wear the dark clothing and on the hands of older H’mong women is navy dyed with indigo. Their houses are built on the farmland. As a result, the only way to get to the village is on foot on the road. Visiting Ta Phin is one of the most popular activities in what to do in Sapa for 2 days. Firstly, passing the terraced rice fields then you will approach to Ta Phin. Ta Phin village is located in the Northeast of Sapa. Moreover, this village is bordered by mountain slopes with the rice terrace fields. There are two ethnic groups living in there including the Red Dao and the Black Mong. Therefore, you will have a chance to know the unmixed cultural life of Black Hmong and Red Dzao minorities. Especially, you will know how to make the distinctively handmade brocades by ethnic people. 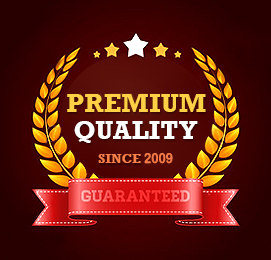 All of the products have numerous bright colors and patterns such as a bag, purse, skirt, and even backpack and coat. 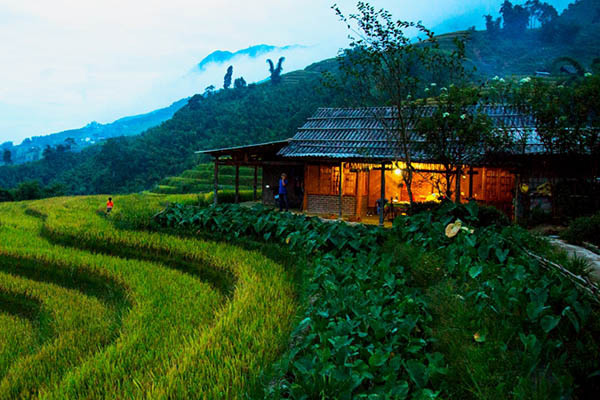 You will grace a superb view of mountain and rice paddy fields of Muong Hoa Valley. Muong Hoa valley is famous for lots of colorful flowers. Therefore, you can have a chance to admire the beautiful views. You will start climbing uphill to a road. You continue driving back down to the Golden Stream and the Love Waterfall. Actually, Love Waterfall is the ideal place for relaxation because you have a chance to explore a legendary love story that has been told to generations in this land as well. If you stand from afar, the waterfall looks like a twinkling pyramid under the sun. Silver fall owns stunning views of surrounding mountains and lush forests. When you stroll on the road through the forest, you will grace the beauty of flowers with the various colors, which creates the particular scenery here. 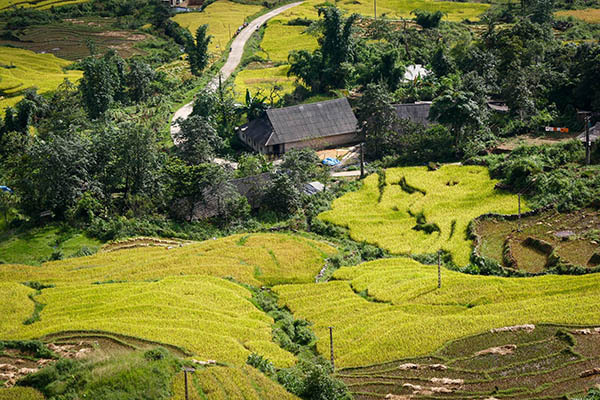 Muong Hoa is known as the largest farmland for rice growing in Sapa, which is one of the most famous places for breathtaking scenery. This valley is located on two lines of the mountain – south-east of SaPa town. It is far from town about 14 kilometers. To approach Muong Hoa Valley, you can trek along Muong Hoa River. On the way, you can learn more about how is the rice cultivating. Muong Hoa valley is known as a valley with blooming of colorful flowers in a wide range of various beauties. Bac Ha market is the largest market. Yet the distance has never discouraged them from joining the Sunday colorful market. This market is constructed on the main square to display the particular products such as handicrafts, food, goods, … Each has its own trait and worth joining. It is not simply a place for buy and sell but also an opportunity for people from different ethnicities to come and meet. If you want a relaxing place to get away from the tourist crowd in Sapa, this market is the option. It is worth investing for the road is curvy and challenging, even after significant improvement.